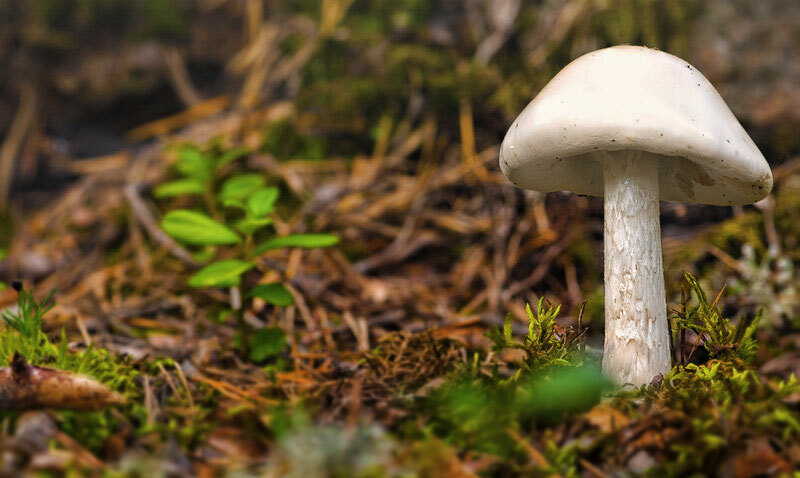 Everybody knows that for most of us going into the woods to pick and eat a random selection of toadstools and mushrooms is pretty much like playing Russian roulette – it’s been drummed into us since we were reading fairy tales. The point is unless you are an absolute expert on gathering mushrooms you should probably steer well clear. But, I hear you say, isn’t it the red ones with white spots to watch out for?! Well that’s one type to avoid, and they will make you pretty ill. The one’s that will really do some damage look pretty unthreatening, often just like the edible ones. One estimate I read puts the number of cases of mushroom poisonings at between 6-7,000 cases a year in the USA alone. 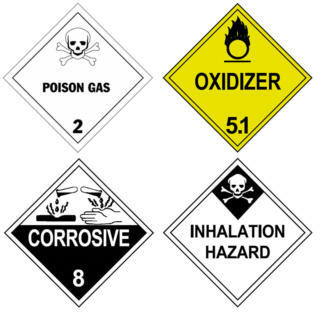 Whilst the fatality rate is a fraction of a percent many do experience serious poisoning symptoms. Many of these cases are children but there are plenty involving adults, and in extreme cases entire families have been poisoned. In total there are about 30 species of mushroom that have proven consistently fatal to humans, many of which are related. In addition there are a further 20 that have on occasions been known to cause death. The list below includes those responsible for killing the most people or with the greatest potential to do harm. The fly agaric is the iconic toadstool of children’s fairy tales. Instantly recognisable with its bright red cap and white spots you would have to be an idiot to eat one of these! Or a child or pet. Whilst you can imagine why a kid may eat one of these it is less clear why dogs (and occasionally cats) seem to have a taste for them. 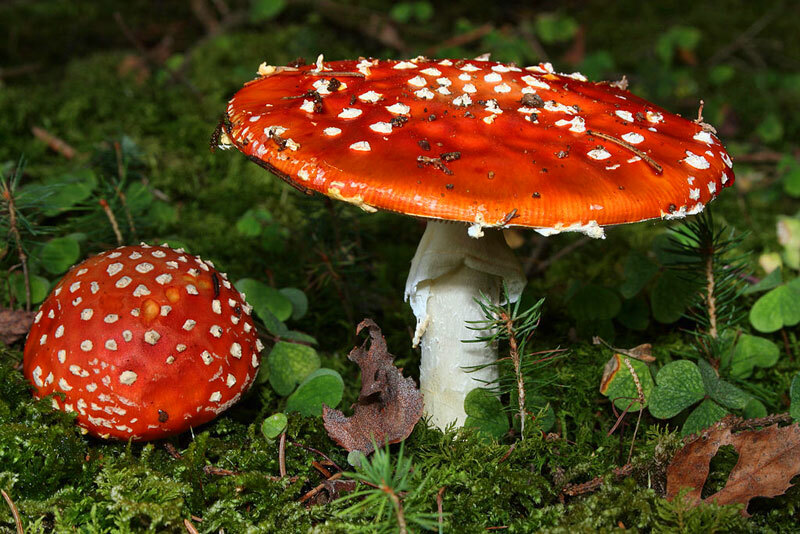 Unfortunately fly agaric is even more poisonous to these animals and invariably lethal. The main toxic agents in Amanita muscaria are muscimol and ibotenic acid. These act on the central nervous system causing loss of coordination, alternating agitation and sleep, nausea and in some cases hallucinations. The effects kick in after around one hour but are rarely fatal. One of the biggest risks is due to the crazy behaviour exhibited when intoxicated. Something that didn’t escape the ancients who used these in rituals. Found throughout the Northern Hemisphere angel wing gets its name firstly from how it looks and secondly because eating it gives a good chance of sending you heaven-bound. The angel wing was at one time considered edible and it seems that for many years there were no reported poisonings from eating it. That changed in 2004 when nearly 60 people became ill after eating them across Japan. Out of these 17 died during the following six weeks. In a further case in 2009 a 65-year-old man died of encephalopathy (brain disease) after eating angel wings. It is worth pointing out that many of those who died had pre-existing kidney or liver problems. The mode of toxicity isn’t well understood in this fungus but a unique amino acid has been identified that kills the brain cells of lab animals. It is also possible that the fungus contains elevated levels of cyanide. The name is a bit of a give away with this one. This small, tasty looking mushroom and many of the Lepiota family, contain the deadly amatoxin which is capable of destroying the liver. It is this toxin that is responsible for 80-90% of all mushroom poisoning deaths. The fatality rate from ingesting amatoxins is around 50% if untreated and still 10% with treatment. The initial symptoms are gastrointestinal-intestinal distress but death may take some time and result from liver failure. It is found in conifer forests throughout Europe and North America and has been responsible for several deaths over the years. Other members of the family include the equally delicious sounding deadly parasol. 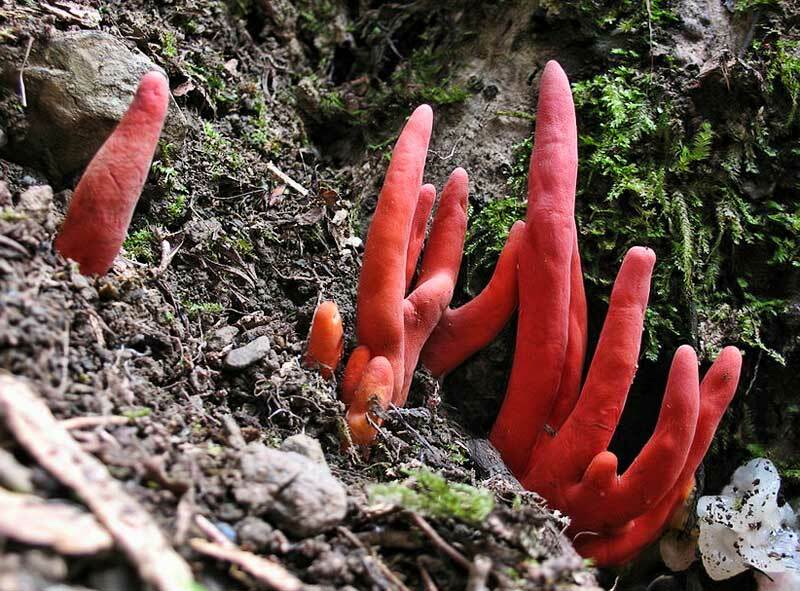 These funky looking Japanese fungi shout “Don’t eat me”! Well to me anyway. Obviously not to the folk of Japan though. I suppose they are already slightly fatalistic about their food, expecting to die every time they have a bit of puffer fish. Apparently this fungus looks like young Ganoderma lucidum and is only eaten in error though. The main toxins in these fungi are trichothecene mycotoxins which have particularly unpleasant effects and may cause death within a matter of days. The symptoms are system wide and can affect all organs, primarily liver, kidneys and brain. There is also a depletion of blood cells, peeling of skin off the face and hair loss making it look like the victim is suffering from radiation poisoning (or leukemia). This mushroom is commonly found on lawns and is native to the Pacific Northwest region of the US. Whilst it doesn’t look immediately inviting as a snack its appearance in gardens brings it into closer proximity with people than many other mushrooms. 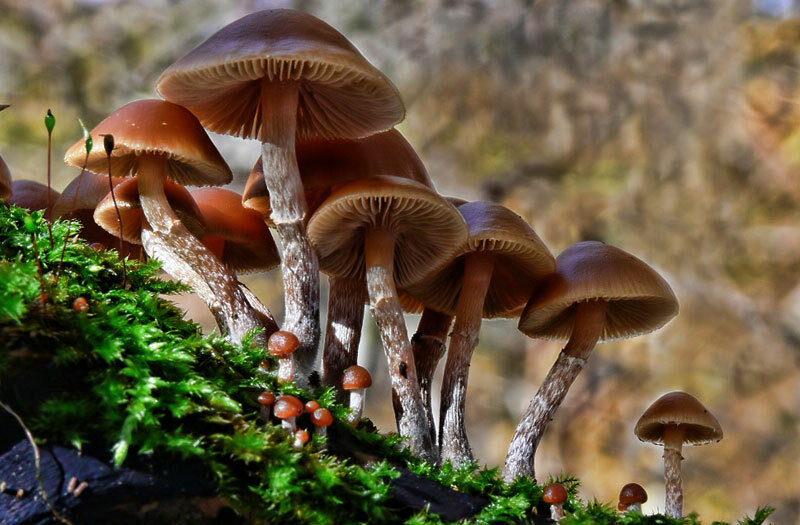 The other factor in accidental poisoning with this mushroom is the alleged similar appearance to the Psilocybes mushroom, also known as magic mushrooms. However, taking one of these could lead to the mother of all bad trips. This fungus is known to contain the particularly deadly amatoxin which if ingested can cause irreparable liver damage. Another deadly mushroom with a deadly name. The webcap is a particularly innocuous looking mushroom similar in appearance to many edible species. In fact it is incredibly poisonous and eating it will possibly kill you; if not within weeks at a later date when your kidneys pack in. This is what happened in the case of The Horse Whisperer author Nicholas Evans. Along with his wife and two other guests they ate deadly webcaps that they had collected mistaking them for something edible. Whilst they all survived Evans was put on kidney dialysis and all were told they would need kidney transplants in the future. They were lucky. 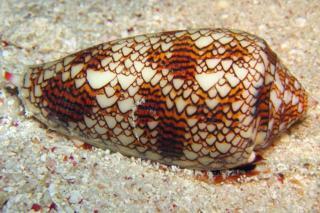 The toxin orellanine is very potent, up there with arsenic and with no known antidote. It is said that one can be poisoned just by tasting and spitting out a small piece of this mushroom. Besides kidney failure other symptoms of the poisoning are reportedly flu-like. They don’t appear for several days and can go on for weeks. The autumn skullcap, now there is a name that shouts “Eat me!”. They grow on dead wood and are found throughout the world; as far north as the Arctic and as far south as Australia. 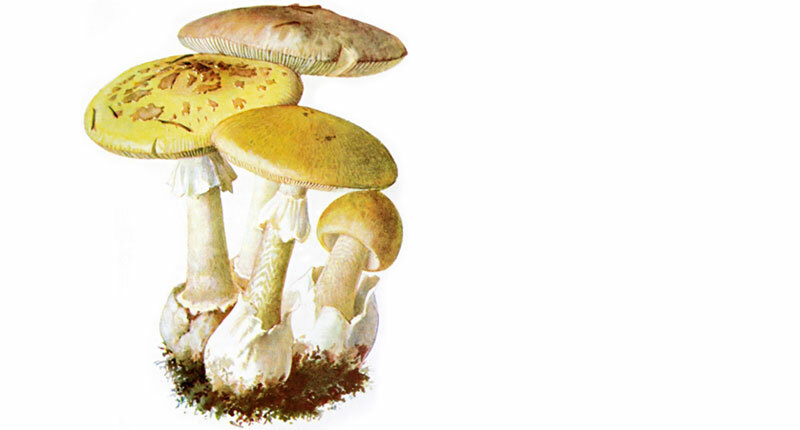 As with many other poisonous mushrooms the skullcaps look similar to other, edible species. In this case they may be confused with honey fungus, sheathed woodtuft and velvet foot amongst others. So the message here is if you do not know exactly what you are doing, there is a good chance you will die! The active ingredient here is yet again the infamous amatoxin. So if you value your liver function steer clear of the autumn skullcap. With all the ridiculous names given to mushrooms and fungus here is one that absolutely screams out for one – “The human brain fungus“! 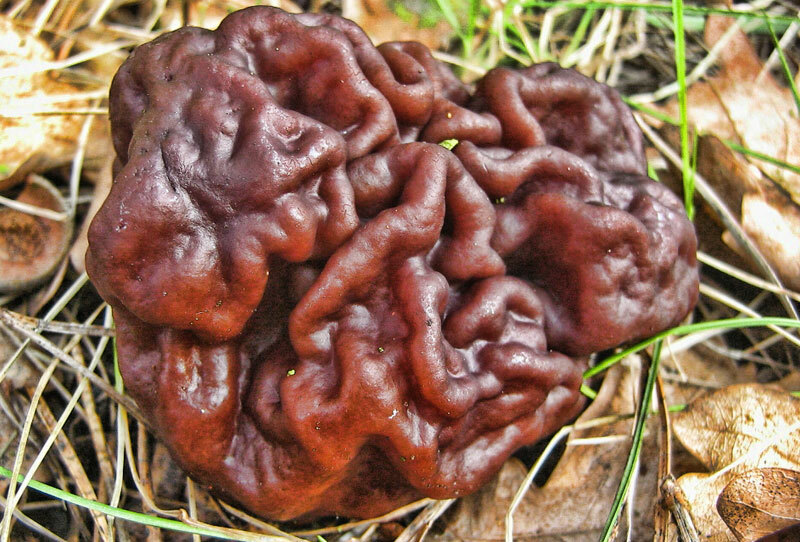 But no, for some reason they named it false morel, which it doesn’t really look like. Obviously something as delicious looking as a human brain is not going to go uneaten. And it doesn’t. The false morel is a popular delicacy in Scandinavia and Eastern Europe. But isn’t it deadly poisonous? Well yes, but no. If eaten raw there is a good chance you will die horribly. If not cooked properly there is also a chance you will die. However, cook it right and I’m sure it tastes great. The toxin here is gyromitrin which becomes monomethylhydrazine (MMH) after you eat it. This toxin will primarily affect the liver but also the nervous system and sometimes the kidneys. Symptoms such as diarrhea and vomiting will appear within hours and are followed by dizziness, lethargy and headache. In the worst case this will end in a coma and death within the week. The false morel can be found in conifer woodlands throughout Europe and North America. If this mushroom had its name written on it absolutely no one in their right mind would f**k with it! The Destroying Angel, that just screams “Eat me and you will die!”. And this pretty much sums up these members of the genus Amanita. 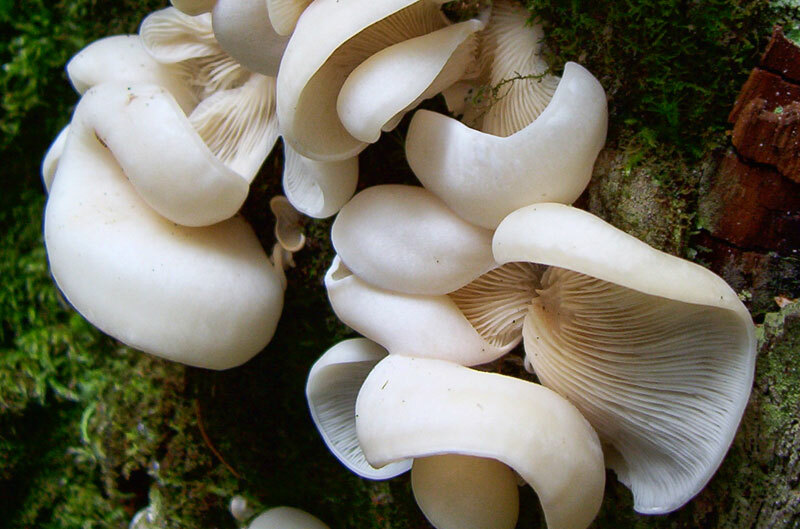 They contain lethal doses of amatoxins and are responsible for a large proportion of all mushroom related deaths. The initial symptoms of cramps, delirium, convulsions, vomiting and diarrhea appear with a day of ingestion. Unfortunately, by this time the toxins may have been absorbed causing irreversible destruction of the kidney and, particularly, liver tissue. At this point a liver transplant may be the only option if the patient is to survive. Related to the Destroying Angels is the similarly appealing sounding death cap. It is this mushroom that has been responsible the majority of human deaths both accidental and on purpose. The death cap has a long history and is associated with the deaths of a number of notable victims including the Roman Emperor Claudius, a pope and a Russian tsar. 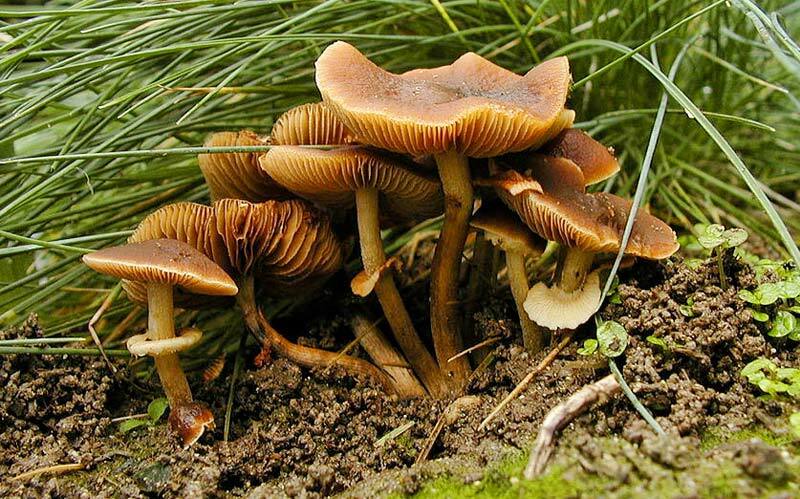 The deathcap is native to Europe where it is found in forests, commonly under oak trees. It is similar to several edible mushrooms, most notably the paddy straw mushroom which is eaten throughout Asia. For this reason it has caught out several unwary immigrants from Asian countries where it does not grow. The primary toxic agent is α-amanitin (amatoxin). As mentioned this causes irreversible damage to the liver and kidneys. 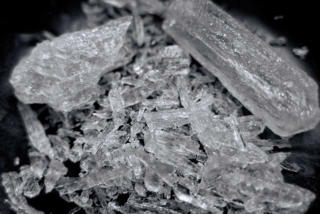 It is estimated that 30 grams (1oz) or approx. half a mushroom is enough to kill an adult. It seems that many of the reported poisoning incidents involve whole families; in 2006 a Polish family of three ate death caps. One died and the two survivors required liver transplants. In such cases it seems that victims have a 50% chance of survival as was the case with four people celebrating New Years in Australia and a more recent case involving a couple in the UK. Unlike some of the other fungus on this list the toxicity of the death cap remains unchanged if they are cooked, dried or frozen. I have all of those in my backyard! Wow that’s bad. Pluck them out before any of your future guests eats them. #3, the “Brain” or “False” Morel is delicious! However, it should NEVER be eaten raw! In fact, NO Morel should be eaten raw, including the classical, conical-shaped, sponge-like Morel. Yes, the Brain Morel is much more toxic if eaten raw, but cooking drives off the volatile toxins. Sauté with butter over moderate heat for five to 10 minutes, drain (cooking causes considerable shrinkage and excess liquid will accumulate in the pan; all fluids from cooking should be discarded) and smoother a steak right off the grill/broiler. Our family has been collecting Brain Morels in northern Michigan for many years and consider them a delicacy. But it says, about animals eating them, “Unfortunately fly agaric is even more poisonous to these animals and invariably lethal.” Um, no. Many animals LOVE them, and I find no reports of them being lethal. Matter of fact, part of the St. Nicholas myth is based in amanita culture, as they are favoured by reindeer, and Siberian shamans will drink the urine of those reindeer, as the active components are not dissipated by the system. Gyromitra esculenta: ‘esculent’ means, basically, edible. Pleurocybella porrigens/pleurotis porrigens, also not deadly. So, why these 3 are including in top ten most deadly, I do not know. It is irresponsible, and makes all information suspect. There is a problem with #7 on your list. It in no way shape or form resenbles reishi( ganoderma lucidium). 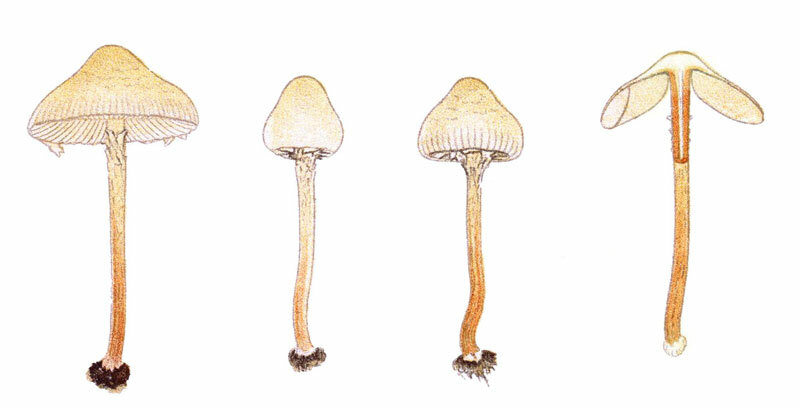 Which as a young specimen is white fading to a tanish color on the margin; which develops into the charistic varnish spore surface later as it matures. 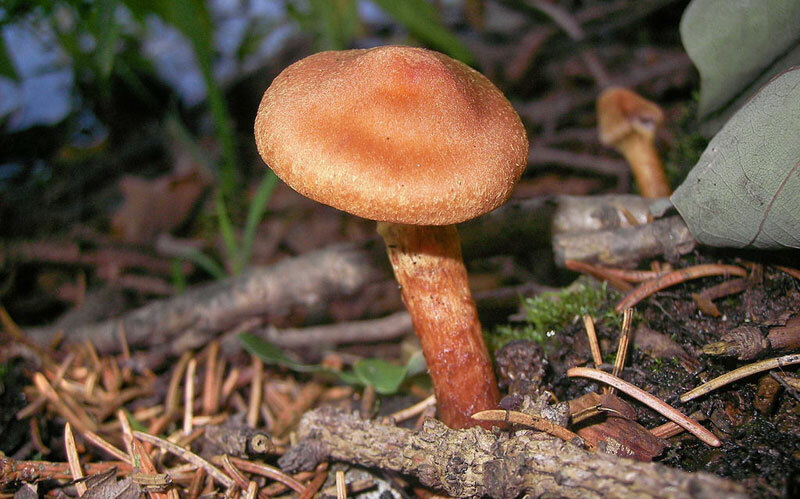 It also is a saprophyte growing primarily on damaged hemlock and other conifers as well as fallen dead hemlock. A far cry from growing in soil. Just throwing it out there; as many “Look-a-likes” do not look anything like the edible counterparts. Best best rule of any forager is- if it can’t be positivly identified, leave it alone, don’t touch it, it isn’t worth killing yourself or others through misidentification. When i collect for study, i ware disposable gloves. Due to the extreame toxicity of some species. A very small amount may cause hospitalization, and possibly death. Having had a look at Ganoderma lucidum I kind of agree with you there. Not sure where I got that info from.